One night in October, Top Classic began foaling but was was rushed to U-Vet Werribee Equine Centre when she was unable to deliver. In these emergency situations, a large team of specialist and resident veterinarians in equine internal medicine, equine surgery, anaesthesia, and highly trained nursing staff assemble in preparation. When the mare arrived, the assessment by our team of equine specialists revealed that an emergency caesarean section would be required. During foaling, there is a very short period of time in which the foal needs to be born and start breathing on its own. 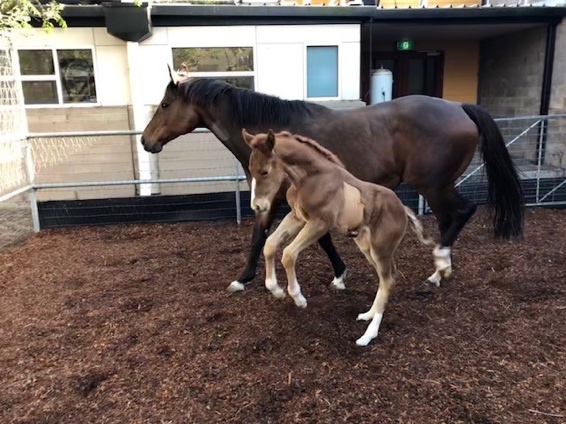 In the situation when a foal becomes “stuck” and can’t be delivered normally (dystocia), it rapidly runs out of oxygen and often does not survive. 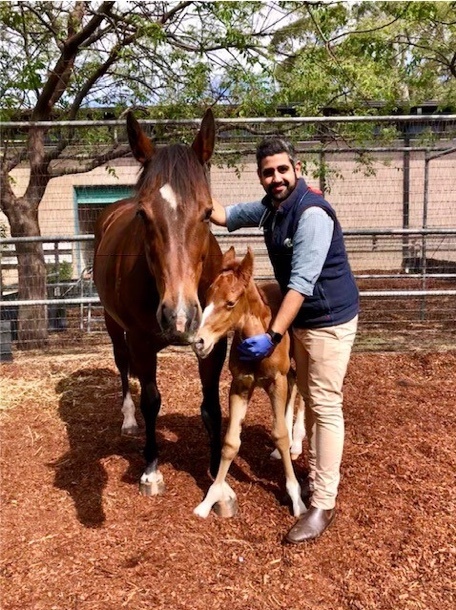 To prevent this from occurring, our specialist team sprang into action and delivered Top Classic’s live filly foal in the operating theatre a short-time after arrival. The foal required resuscitation and treatment for neonatal encephalopathy (‘dummy foal’) but made a full recovery as did Top Classic who required some intensive post-operative care. Due to the fast action of all involved both on the farm and at the Equine Centre, the mare and foal responded well to treatment in hospital and were discharged back to their farm together!